Both Galveston and the Bolivar Peninsula are located within Galveston County, which is one of 13 counties served by the Houston-Galveston Area Council (http://www NULL.h-gac NULL.com/home/residents NULL.aspx) (H-GAC). H-GAC serves as the Upper Gulf Coast Region’s Council of Government, providing transportation, economic development, and emergency planning services for the area. H-GAC also houses the Gulf Coast Economic Development District (http://www NULL.h-gac NULL.com/community/community/gcedd/default NULL.aspx) (GCEDD), which serves as the federally designated economic development planning body for the 13-county region. As such, H-GAC (via GCEDD) is responsible for the region’s Comprehensive Economic Development Strategy (CEDS), which sets out a long-term economic vision for the region and plays a critical role in disaster planning and economic recovery. As Ike dissipated and moved toward Arkansas, local governments throughout the region started grappling with the immediate needs of their communities. While they focused their attention on providing emergency services and removing debris, H-GAC began orchestrating a more comprehensive regional recovery effort. H-GAC immediately put its data library and GIS capabilities to work, mapping expected damage to critical local infrastructure such as power substations, wastewater treatment plants, schools, and local businesses. This information provided state, local, and federal leaders with a preliminary understanding of the damages so they could target their resources while they awaited full reports from time-intensive local inspections. During the recovery planning process, H-GAC recognized the importance of getting local businesses back on their feet. While the enthusiasm was there, access to financial capital proved to be a real barrier for many business owners. To help local businesses tackle this problem, GCEDD secured $10 million in EDA funding to capitalize a revolving loan fund (RLF) for recovery and economic development efforts. The RLF was originally restricted to private businesses, but after some initial success, applications began to decline. H-GAC attributed this to application fatigue among business owners, hesitance about collateral and reporting requirements, and growing competition from small, privately-funded loans with less burdensome requirements. Loans have already been secured by local governments for everything from a new fire truck to the construction of a flood retention facility. Since local governments can tap into the RLF rather than relying on their general funds for upfront costs, they are able to maintain their traditional levels of service while investing in the recovery and resilience measures necessary to keep their area economically competitive. Also recognizing the important role that entrepreneurs play in both the economic recovery and sustained growth of a region, H-GAC allocated $10 million to repair and modernize the building that holds UTMB’s biotech and biomedical incubator. Housed in the historic 1933 Customs House building, the incubator was already a model for adaptive reuse and an anchor for business creation in this burgeoning sector. However, the historic nature of the building put it at a greater risk for damage from storms. The renovations will include adaptation measures such as moving the building’s electric and other critical equipment out of the basement to reduce the risk of service disruptions during future flooding events. Once complete, the expanded state-of-the-art space will provide labs, office space, and professional services to over two dozen promising companies. Similarly, Nassau Bay, Texas (http://nassaubay NULL.com/) received $2.5 million to harden road, water, sewer, and power infrastructure for a new, mixed-use town square development. The project relocated streets, made major improvements to the stormwater system, and buried utilities to make the new development more resilient to future storms. The remainder of the $3.13 million infrastructure project was funded by the developer, but the effort was facing a great deal of uncertainty before EDA dollars filled the growing gap in funding.16 The Town Square project was hamstrung by the confluence of Hurricane Ike, the economic downturn, and a downsizing at NASA, one of the primary employers in the area, which all occurred shortly after the project broke ground. Although the combination of these events was enough to slow any large development, EDA funds provided just enough money to keep it moving forward. The Town Square was completed in 2012 and has greatly diversified the Nassau Bay economy by adding a hotel and conference center, multi-family residential units, and a mix of office and retail space in the new heart of the city. Since Hurricane Ike hit in 2008, the population in the impacted area has grown by over 1 million residents.18 While many areas are still recovering, the EDA investments made following Ike have diversified local economies and made the region as a whole more resilient to future storms. The process was not without its complications, but by working closely with both the EDA regional office and local partners, H-GAC has been able to help the region grow back bigger, better, and stronger than before. This case study was written by Lexie Albe, NADO Community and Economic Resilience Fellow. 1 Mersereau, Dennis. “Five Years Later, Hurricane Ike Still Remembered Deep in the Hearts of Texans.” Washington Post. 13 Sept. 2013. Web. 06 Nov. 2014. <http://www.washingtonpost.com/blogs/capital-weather-gang/wp/2013/09/13/five-years-later-hurricane-ike-still-remembered-deep-in-the-heart-of-texas (http://www NULL.washingtonpost NULL.com/blogs/capital-weather-gang/wp/2013/09/13/five-years-later-hurricane-ike-still-remembered-deep-in-the-heart-of-texas)/>. 2 “Texas Rebounds: Helping Our Communities Recover from the 2008 Hurricane Season.” Office of the Governor, 1 Nov. 2008. Web. <http://governor.state.tx.us/files/press-office/Texas-Rebounds-report.pdf (http://governor NULL.state NULL.tx NULL.us/files/press-office/Texas-Rebounds-report NULL.pdf)>. 3 Fernandez, Manny. “In Texas, Extending the Miseries of Hurricane Ike.” The New York Times 1 Oct. 2011. Web. 4 Nov. 2014. <http://www.nytimes.com/2011/10/02/us/extending-the-miseries-from-hurricane-ike.html?pagewanted=all&_r=0 (http://www NULL.nytimes NULL.com/2011/10/02/us/extending-the-miseries-from-hurricane-ike NULL.html?pagewanted=all&_r=0)>. 4 “Hurricane Ike Impact Report.” ESF #14 LTCR. FEMA, 1 Dec. 2008. Web. 2 Dec. 2014. <http://www.fema.gov/pdf/hazard/hurricane/2008/ike/impact_report.pdf (http://www NULL.fema NULL.gov/pdf/hazard/hurricane/2008/ike/impact_report NULL.pdf)>. 5 Cook, Lynn, and Kristen Hayes. “Powerless: More than 99 Percent of Region in the Dark.”The Houston Chronicle 13 Sept. 2008. Web. 2 Dec. 2014. <http://www.chron.com/default/article/Powerless-More-than-99-percent-of-region-in-the-1771780.php (http://www NULL.chron NULL.com/default/article/Powerless-More-than-99-percent-of-region-in-the-1771780 NULL.php)>. 6 Texas Rebounds: Helping Our Communities Recover from the 2008 Hurricane Season.” Office of the Governor, 1 Nov. 2008. Web. <http://governor.state.tx.us/files/press-office/Texas-Rebounds-report.pdf (http://governor NULL.state NULL.tx NULL.us/files/press-office/Texas-Rebounds-report NULL.pdf)>. 7 Cast, Leah. “Galveston 5 Years after Hurricane Ike.” Galveston Island Convention & Visitors Bureau. 12 Sept. 2013. Web. <http://pressroom.galveston.com/release/3/galveston-5-years-after-hurricane-ike (http://pressroom NULL.galveston NULL.com/release/3/galveston-5-years-after-hurricane-ike)>. 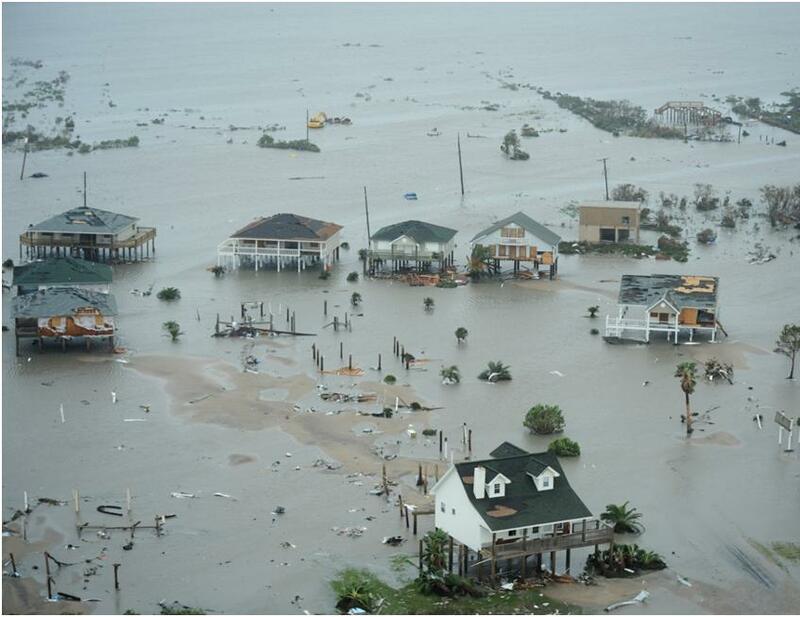 8 “Hurricane Ike Impact Report.” ESF #14 LTCR. FEMA, 1 Dec. 2008. Web. 2 Dec. 2014. <http://www.fema.gov/pdf/hazard/hurricane/2008/ike/impact_report.pdf (http://www NULL.fema NULL.gov/pdf/hazard/hurricane/2008/ike/impact_report NULL.pdf)>. 9 Wemple, Chuck. “Challenges of Economic Recovery Following Natural Disasters – Insights Gleaned from Hurricane Ike.” PERI Symposium: Community Recovery from Disaster. Public Entity Risk Institute, Mar. 2011. 10 Wemple, Chuck. Personal interview. October 7, 2014. 11 “WGIPOA Board Meeting Minutes.” West Galveston Island Property Owners Association. Nov. 2012. Web. <http://www.wgipoa.com/tx/wp-content/uploads/2012/11/poa337.pdf (http://www NULL.wgipoa NULL.com/tx/wp-content/uploads/2012/11/poa337 NULL.pdf)>. 13 Mulvaney, Erin. “Seabrook Has Plan to Emerge from Kemah’s Shadow.” The Houston Chronicle 20 Aug. 2013. Web. <http://www.houstonchronicle.com/business/real-estate/article/Seabrook-has-plan-to-emerge-from-Kemah-s-shadow-4747938.php#/0 (http://www NULL.houstonchronicle NULL.com/business/real-estate/article/Seabrook-has-plan-to-emerge-from-Kemah-s-shadow-4747938 NULL.php#/0)>. 14 Mulvaney, Erin. “Seabrook Has Plan to Emerge from Kemah’s Shadow.” The Houston Chronicle 20 Aug. 2013. Web. <http://www.houstonchronicle.com/business/real-estate/article/Seabrook-has-plan-to-emerge-from-Kemah-s-shadow-4747938.php#/0 (http://www NULL.houstonchronicle NULL.com/business/real-estate/article/Seabrook-has-plan-to-emerge-from-Kemah-s-shadow-4747938 NULL.php#/0)>. 18 Wemple, Chuck. “Regional Councils: Roles in Recovery and Resiliency.” Capacity-Builders, Conveners, Collaborators, and More: The Regional Development Organization’s Role in Disaster Recovery. NADO Research Foundation.Webinar, 12 Aug. 2014. This entry was posted in Disaster Mitigation and Recovery Publications, Disaster Resilience, Regional and Community Planning, Regional and Community Planning Publications, Regional Economic Development, Regional Economic Development Publications and tagged CDBG-DR, community development, Disaster Recovery, disaster resilience, economic development, EDA, HUD, Hurricanes, Infrastructure, Planning, ports, RLFs, Texas. Bookmark the permalink.